Juventus manager Massimiliano Allegri is confident that Ronaldo will break his duck for the Turin outfit against Sassuolo. Ronaldo has not scored a single competitive goal for Juventus since joining the Old Lady from Real Madrid. Ronaldo joined Juve for a fee of €117 million after spending nine seasons with Real Madrid. Ronaldo left the Madrid club after guiding them to three consecutive Champions League titles. Ronaldo is expected to score a goal in every game, and every time he fails to do so it becomes a talking point in the football fraternity. Cristiano Ronaldo has taken more shots without scoring (23) than any other player in Europe's Top 5 Leagues this season. "Cristiano worked well and I think Sunday could be his day." Even if Ronaldo has not scored a single goal for the club, his performance has been quite impressive. It took Ronaldo 28 shots to score his first league goal for Real Madrid in 2017/18 and at the end of the season, he had 26 goals in 27 games in the league. 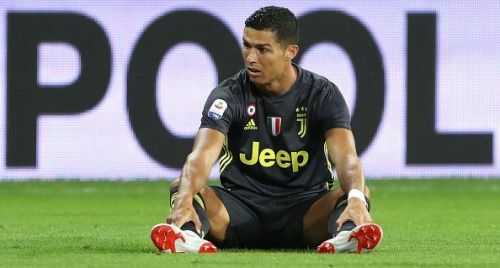 Ronaldo scored a spectacular bicycle kick goal against Juventus in Champions League last season to which Juventus fans applauded the Portuguese with a standing ovation. Juventus fans will hope that Ronaldo finally opens his account for the club in the 4th round of Serie A before the Champions League begins. It is to be seen if Ronaldo can meet the expectation of his manager by breaking his duck for Juventus.